Today 6Aug 2013 Celebration Bheemana Amavasya and also Known as Hariyali Amavasya in Rajasthan Udaipur. Bheemana Amavasya or Jyoti Bheemashwara Vrata is popularly celebrated at Pathi Sanjeevani Puja is celebrated on the no moon day or amavasya of the ashada month according to the Hindu calendar. The legend behind this festivity dates back to Skanda purana times. Devotees of the Divine couple- Shiva and Parvati observe this vrata to prove their dedication. Bheemana Amavasya is observed mainly by the women. Unmarried girls keep this fast in expectation of a good life partner. Married women perform all the rituals with great enthusiasm and fervour for the welfare of their husband, brother or father. The fasting on this auspicious Bheemana Amavasya day is kept for nine consecutive years. The last year is marked by the donation of a pair of diyas to the brother or Brahmin. 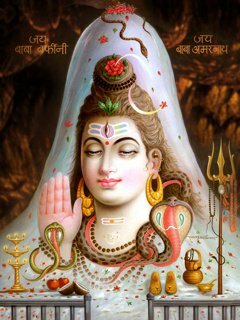 Bheemna Amavasya Vrata observed in Karnataka on the Amavasi (new moon day) in Ashada month is based on an unparalleled devotion of a young girl for Lord Shiva and Parvati. Women and girls conduct special puja on the day for a happy and prosperous life and for the wellbeing of brothers and husbands. The popular story, or Katha, associated Jyoti Bhimeshwara puja is known as Bhagirati Nadi Hogi. Kadubus or dough balls with coins stuffed inside are prepared. Some people hide coins inside idili or kozhakattai. The main idea is to have the ‘bhandara’ hidden with coins. Make or buy a pair of Kalikamba lamps – it represents Shiva and Parvati and it is worshipped on the day. (Instead of Kali kamba lamps people also use idol or image of Goddess Parvati and Shiva or a pair of silver lamp or a single lamp). Kalikamba lamps are cleaned and decorated – with sandalwood, turmeric paste or other similar items. A yellow thread is used to tie turmeric root and it is tied to one of the lamps. This is Goddess Parvati. Kalikamba lamps is placed on rice or grains in a tray and is placed facing East. A garland is created using cotton and is used to decorate the Kali kamba lamps. A sacred turmeric thread or yellow thread is placed in front of both the lamps or tied in the center. Tie a yellow thread in nine places along with a flower. Keep the tied thread, betel leaves, and betel nuts in front of the lamp. It can also be arranged in a pot. The normal lamps in the puja room are decorated in the normal way. One pair of kalikamba lamps and the pooja accessories are used by all the women present. In some cases all participants make there own separate sets. The Kalikamba lamps are worshipped on the day. An archana with turmeric and kumkum is performed. Any shlokas dedicated to Shiva and Parvati is recited. Gowri Puja performed chanting the ‘Diva Shri Gowri’ chant. You can also lit the traditional lamps. Special prayer for the occassion - Shalabaranam kala deepika - maadi; Naaru batti neeru ennai nerudhalu. Nivedya is offered and it includes coconut, betel leaves, betel nuts, fruits, bananas. An arati using Karpura is performed while offering the Naivedya. Nombu sacred thread is tied on the right hand wrist.